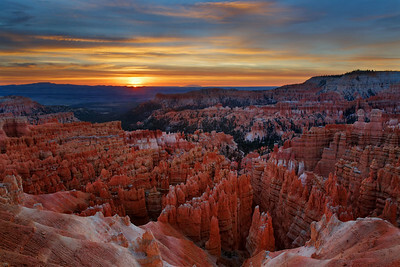 Sunrise at Agua Canyon, Bryce Canyon National Park, Utah, USA. 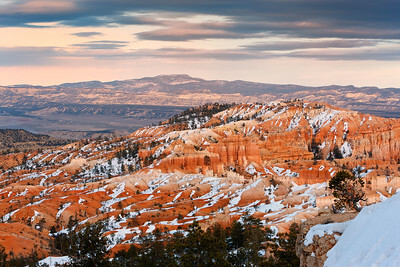 White Hoodoos, Bryce Zion National Park, USA. 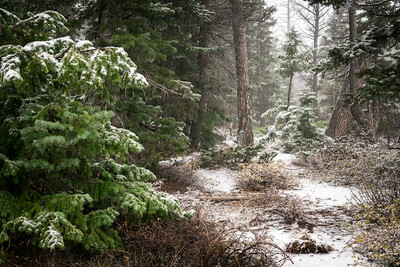 The first snow of the season falls in late October at Rainbow Point (elevation 9100 feet), Bryce Canyon National Park, Utah, USA. 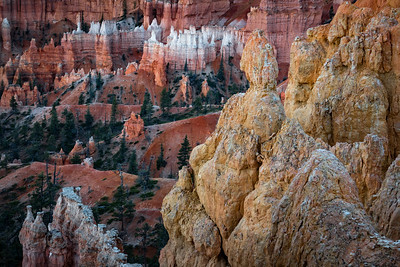 White-capped hoodoos, main amphitheater, Bryce Zion National Park, USA. 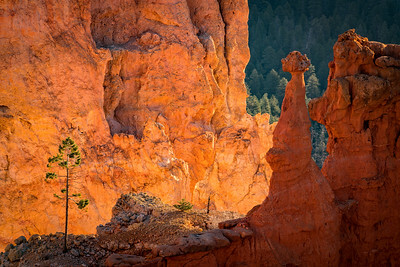 Lone Pine and Hoodoos, Bryce Zion National Park, USA. 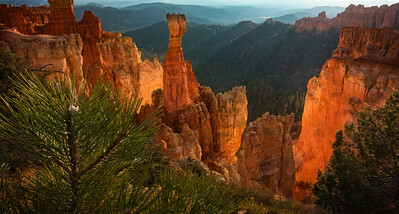 Lit Hoodoos, Bryce Zion National Park, USA. 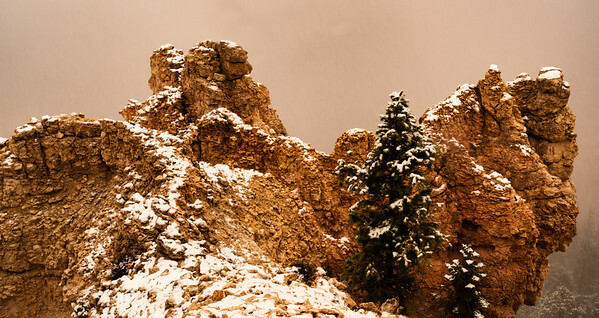 Fresh snow falls on hoodoos at Rainbow Point, Bryce Canyon National Park, Utah, USA. 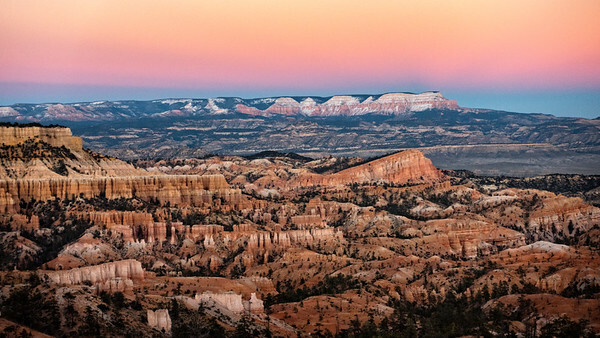 Warm dusk light forms a twilight wedge over The Sinking Ship at Bryce Canyon National Park, Utah, USA. 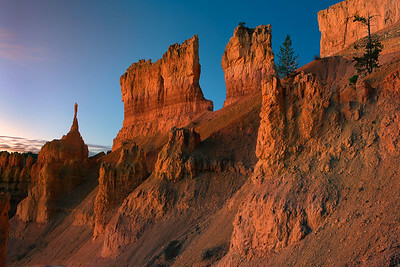 Early morning light in Agua Canyon, Bryce Zion National Park, USA. 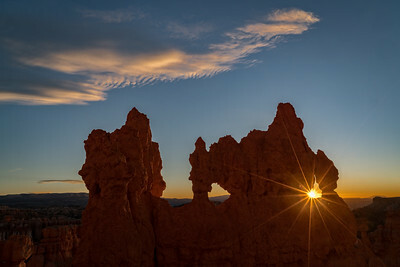 A sunstar on the side of tiny arch in sandstone fromation along Navajo Trail in Bryce National Park, USA. 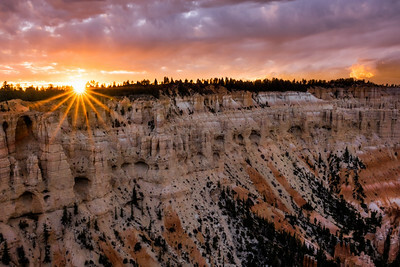 Sunrise over the main amphitheater hoodoos, Bryce Canyon National Park, Utah, USA. 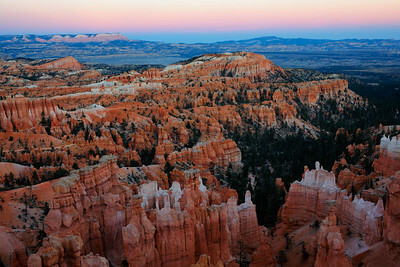 Dusk light at Sunrise Point, Bryce Canyon National Park, Utah, USA. 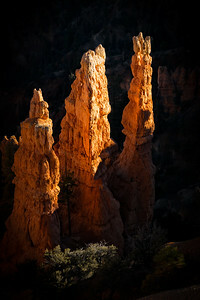 Early morning three-quarter backlight makes these hoodoos glow as seen from Inspiration Point, Bryce Canyon National Park, Utah, USA. 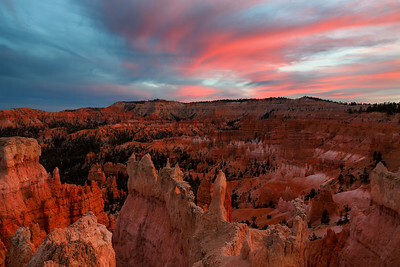 Dusk settles over Bryce Canyon, Bryce Canyon National Park, Utah, USA. 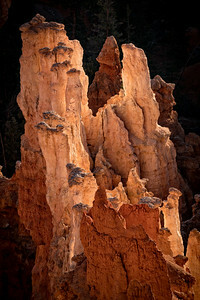 Though this formation is called a bridge, it is really one of several arches located in Bryce Canyon. 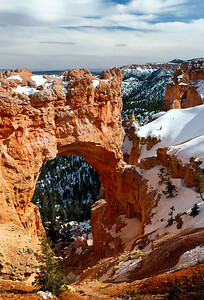 This arch, sculpted from some of the reddest rock of the Claron Formation (rich in iron oxide minerals), poses a stark contrast to the dark green of the Ponderosa forest that peeks through the arch from the canyon below. Zion National Park, Utah, USA. 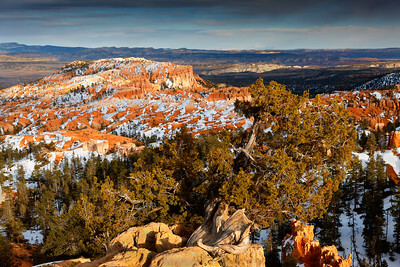 Sunset light warms a Juniper snag against a snow-covered Bryce Canyon. Bryce Canyon National Park, Utah, USA. 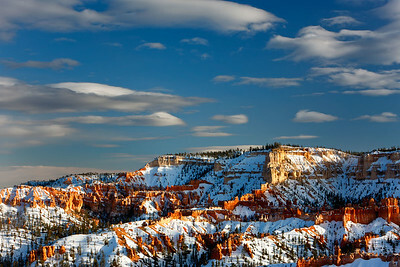 Late afternoon sweet light bathes the snow-covered hoodoos of Bryce Canyon National Park, Utah, USA. 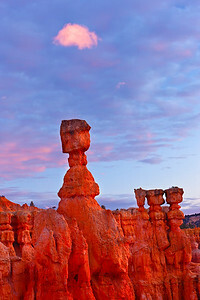 WInd-carved snadstone with early formations of hoodoos, Bryce National Park, Utah, USA. 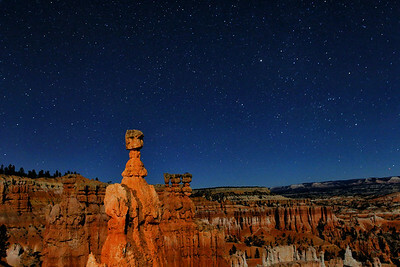 Thor's Hammer is illuminated by moonlight and a headlamp, Bryce National Park, Utah, USA. 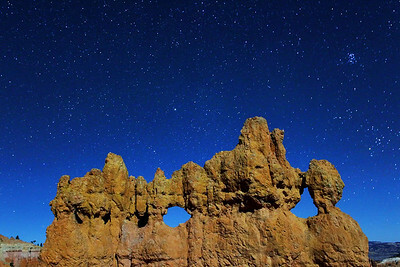 Starfield and hoodoo formation, Bryce National Park, Utah, USA. 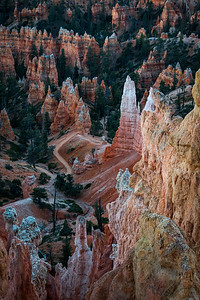 A vivid twilight wedge forms over the eastern horizon at dusk as hoodoo formations take on a warm glow in the main amphitheater, Bryce Canyon National Park, Utah, USA. 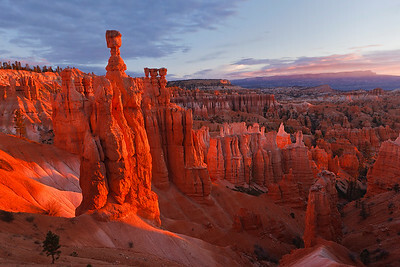 Red snadstone hoodoos, including Thor's Hammer, radiate in the warm light of sunrise, Bryce National Park, Utah, USA. 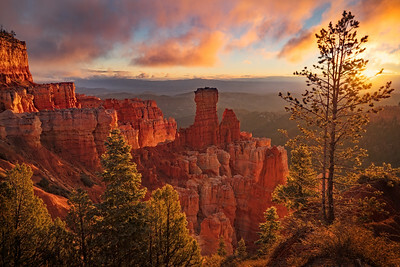 Sunrise light illuminates cloud over Thor's Hammer, Bryce Canyon National Park, Utah, USA. 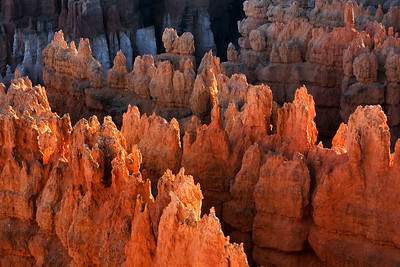 Diagonal rows of hoodoos as seen from Sunset Point, Bryce Canyon National Park, Utah, USA. Navajo Trail Into Bryce Canyon, Bryce Zion National Park, USA. 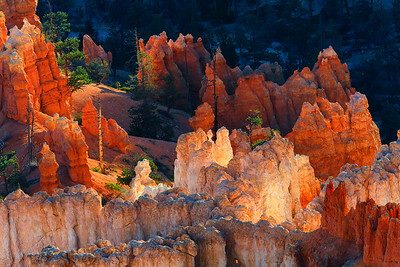 Low angle morning sun gives the appearance of glowing hoodoos at Bryce Zion National Park, USA. 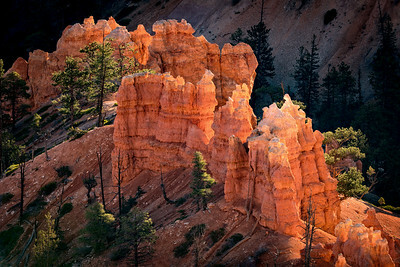 The Catacombs, Bryce Canyon National Park, Utah, USA.